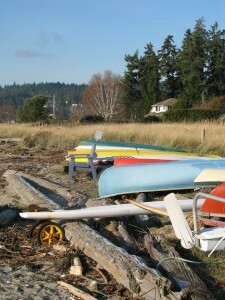 I know you will love living on Bainbridge Island as much a I do. Bainbridge Island is a small town with all the benefits of big-city Seattle just a ferry ride away. We have hiking trails, lots of open space, beaches and golf courses to enjoy . . . and many lovely homes, from waterfront estates to cozy neighbohoods. I am constantly touring the available homes on Bainbridge Island and I can provide you information about the details and condition of each home you have an interest in. While home search sites can give you a good idea of what is available on Bainbridge Island, they are limited to showing you only what the selling agents have chosen to display. It is difficult to discern details from broad, general shots of a room. The pictures or videos I can provide you, as my client, will show finish details. Think the difference between thermofoil wrapped particleboard kitchen cabinets and solid wood cabinets. Bainbridge Island has a very diverse selection of homes including waterfront beach cottages, waterfront mansions, private-forested bungalows, multi-acre horse properties, luxury condominiums and quaint residential neighborhoods. Before you visit the island we can prepare a tour that meets your specific criteria. I want to make sure you make the most of your trip to the island. Lytle Beach on Bainbridge Island. Describe the home & neighborhood you are living in now. Would you like to live in a neighborhood – or do you want space/acreage? Dark cherry or white painted cabinets – or somewhere in between? How long are you expecting to keep this new home? How important are views or waterfront? Do you want a large yard? Are you commuting by ferry? … and any other criteria important to you. I believe that with good communication we will be able to find the right fit for you. Click here to request your customized relocation packet. 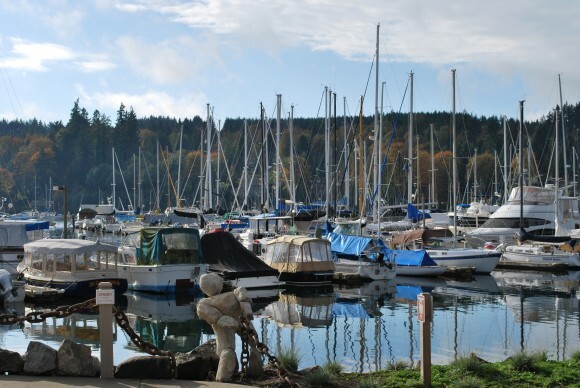 The Eagle Harbor Marina on Bainbridge Island. Before you call or talk to a mortgage consultant or loan officer, I recommend you have the following documents on hand. Making estimates may steer you in the wrong direction when it comes to figuring out how much you qualify for. And the end, it will save you time and extra calls. Bainbridge Island Vacation Rentals – Vacation/relocation rentals for weekends to summer long/multi-month rentals, find furnished rental options here. The Eagle Harbor Inn – Fine rooms, suites and townhomes near the marina. Bainbridge Island Beach Cottage – Cute, charming and on Pleasant Beach. There are actually two. Small, one room cottage. Larger two bedroom cottage.